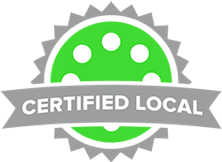 What do over 1,500 independent restaurants love about Spotluck? "As a local restaurant owner, getting my name out there can be tough, especially with chain restaurants spending millions of dollars on marketing. This is where Spotluck comes in to help. They do such a great job getting my brand out in the neighborhood while giving locals a fun way to support their community"
"I cant believe how many customers it has drawn in to our establishment already. It's only been about a week and the feedback from our customers and staff have been nothing but positive!"